Some terrific things happened this year in the craft and making-world. From world records broken to delightful feats of architecture, we love seeing what the world is accomplishing with their hands. 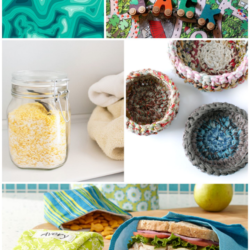 We hope you enjoy this celebration of handcrafted projects and innovations that caught our eye in 2013 (and inspire us to create more in 2014)! 1. 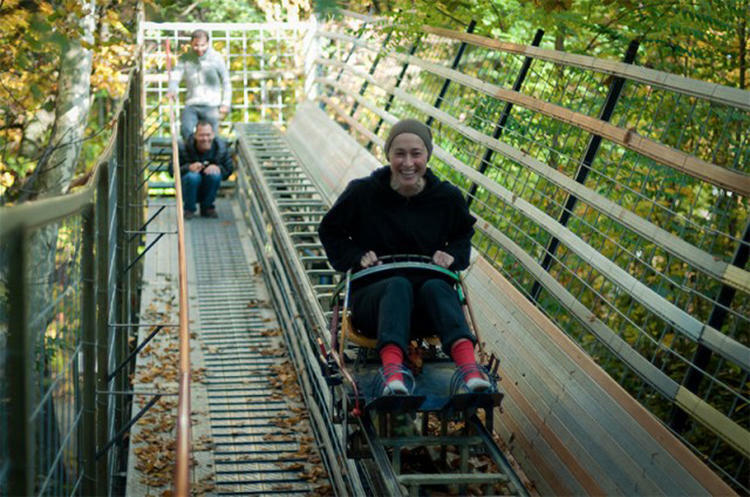 Bruno, a 76-year-old inventor, created an entirely handmade amusement park, and was featured in an overdue short film, Ai Pioppi about his 40-plus years of making. 2. 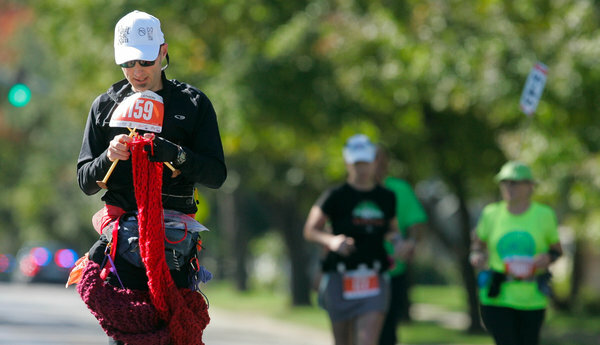 David Babcock beat the record for the longest scarf knitted while running a marathon when he crossed the finish line at the Kansas City Marathon with an over 12 foot long scarf of blue, purple, red and orange. 3. 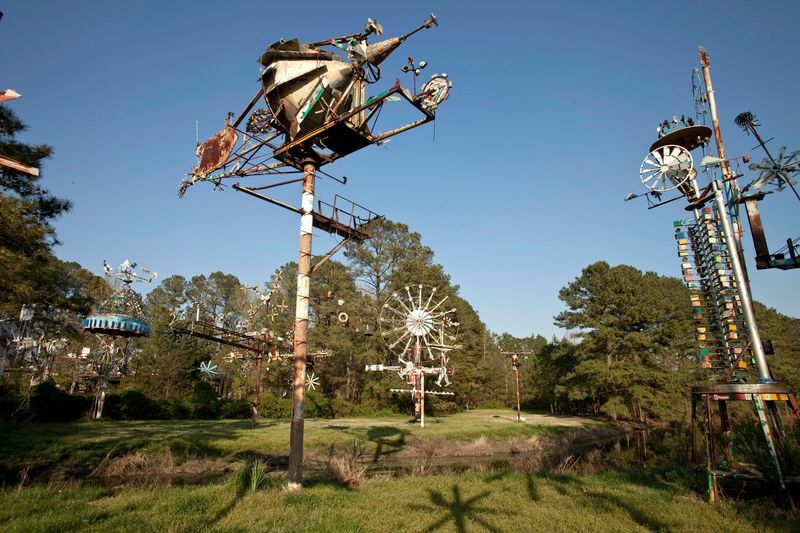 The first phase of a new downtown park in Wilson, North Carolina opened this year, featuring the amazing whirligigs of Vollis Simpson. 4. Rotterdam-based Bauke Knottnerus created enormous knit art pieces as part of the Unravel, Knitwear in Fashion exhibition. 5. In São Paulo, Brazil, Studio Swine created Can City, a mobile foundry that turns a massive waste problem into art, and gives a creative outlet to the city's poor. 6. Pinterest added Place Pins, enabling users to map out pins and help turn travel inspirations into reality. We're using the new function to map out some of our favorite makers all over the world! 7. 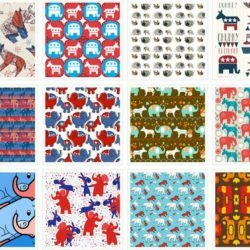 Etsy explored the economic impact of the community of micro-business entrepreneurs. We were inspired by these amazing feats of handcrafting and innovative tools for makers. 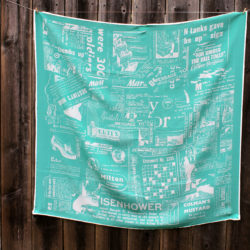 What DIY news is spurring you on into a creative new year? Comment below! Fine and dandy. Congratulations to Night Garden Design! « Heading into a new year in the Greenhouse!